Definition at line 81 of file tlhelp32.h. Definition at line 82 of file tlhelp32.h. 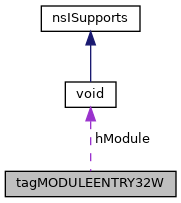 Referenced by Module32First(), Module32Next(), and TH32CreateSnapshotSectionInitialize(). Definition at line 85 of file tlhelp32.h. Definition at line 89 of file tlhelp32.h. Definition at line 87 of file tlhelp32.h. Definition at line 88 of file tlhelp32.h. Definition at line 86 of file tlhelp32.h. Definition at line 91 of file tlhelp32.h. Definition at line 90 of file tlhelp32.h. Definition at line 83 of file tlhelp32.h. Definition at line 84 of file tlhelp32.h.